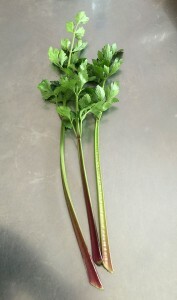 Red Stem Celery is a very old variety from the 1700’s or before. It has the old growth habit of generally producing fairly thin stems. 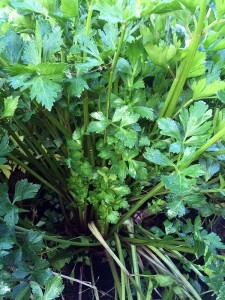 Also it has a very intense flavour in the leaf and stem. These were both features that were a targeted growth form that was gradually bred to be ‘improved’ as new varieties were developed. The target being eventually the larger blandish forms we often get now. 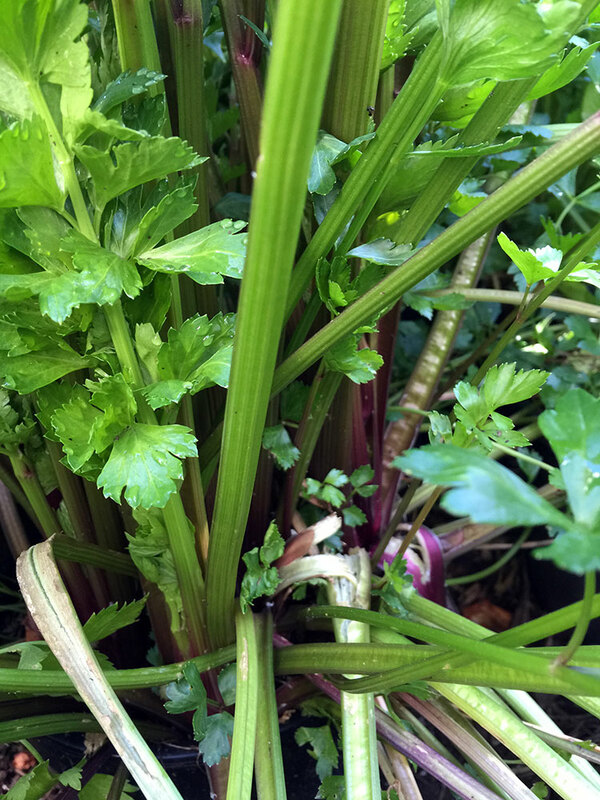 It is really a very nice vegetable to use for stocks and adding that slightly salty and mouth watering flavour to dishes. It is a little too strong for chewing on as a green snack unless it is growing very string and you can get the big stems – as a little goes a long way. 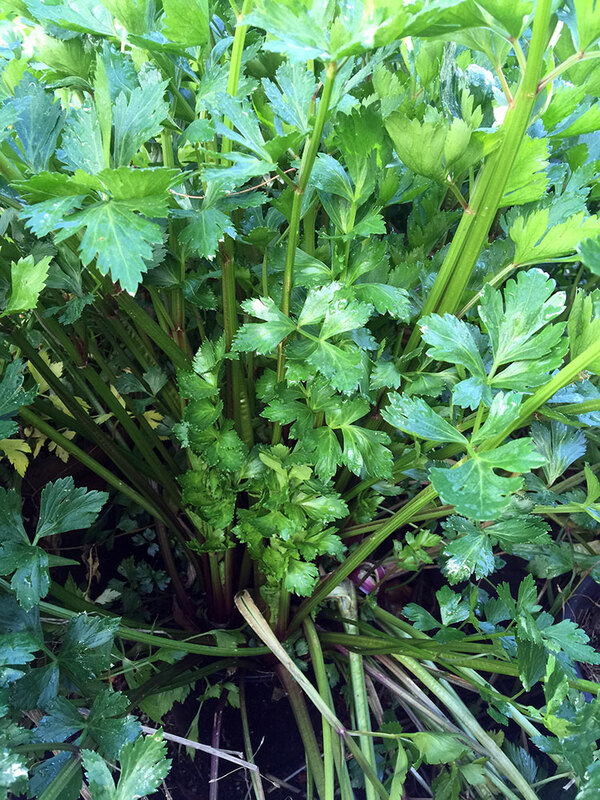 Celery is a tricky plant to grow to get those luxurious large stems – essentially they need constant water and controlled sun or shade so they grow big and thick. Most people don’t want them to colour up too much. 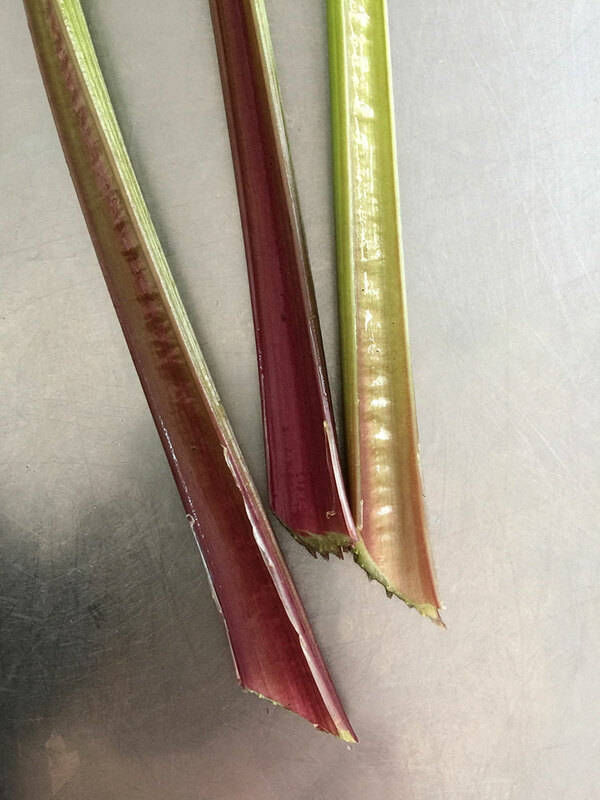 You can get this result to a degree by planting them very closely and letting them self blanch by having a light restricted and shaded plant base so the stems grow up and out of their base area. Or you can get it by covering the base area of the plant to control the light. This is sometimes done by planting them in trenches – but this seems a lot of work for a bland result. I try to get this by growing them in largish pots and planting them tightly together and watering and feeding them constantly in fairly bright light. If they get dry at all they will go to seed almost immediately… virtually while you watch … don’t let them get dry for longer than a few hours at most. They also can be a bit slow to grow and take quite a while to form a good root system and get the head growth happening. I think of them as a short lived perennial. I try to keep saucers under the pots during the high heat of summer to cover the really hot days. The plants flower and go to seed easily and the seed seems to germinate quite well and fast. The collected large seeds that result are apparently actually ‘fruit’ with the actual seed mass inside them. They can be eaten as well and taste ok.